On a brighter note, it is possible to keep old buildings and merge them with modern developments without totally destroying the heritage elements. Though they may not convey the past history to the fullest, they at least give token homage whilst pleasing the younger generations, business folk and social butterflies with the great new eating facilities supplied. 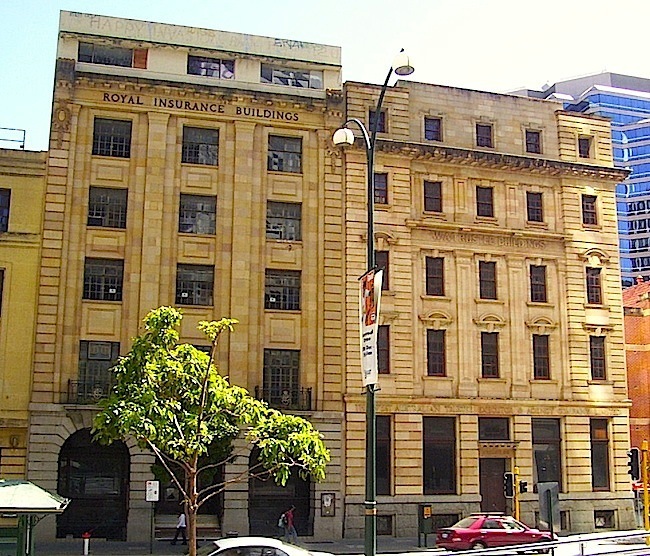 A recent redevelopment involves Newspaper House (1932), the Perth Technical College (1910), WA Trustees Co (1925) and Royal Insurance Building (1929), all located together on St Georges Terrace, Perth. 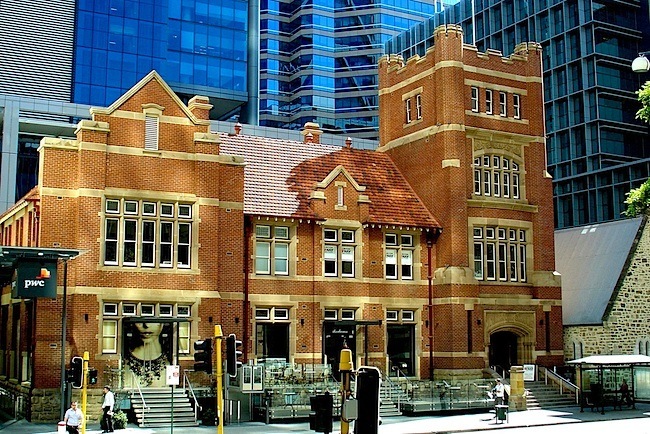 They occupy a 60 metre street frontage and adjoin the Old Perth Boys’ School (1854). 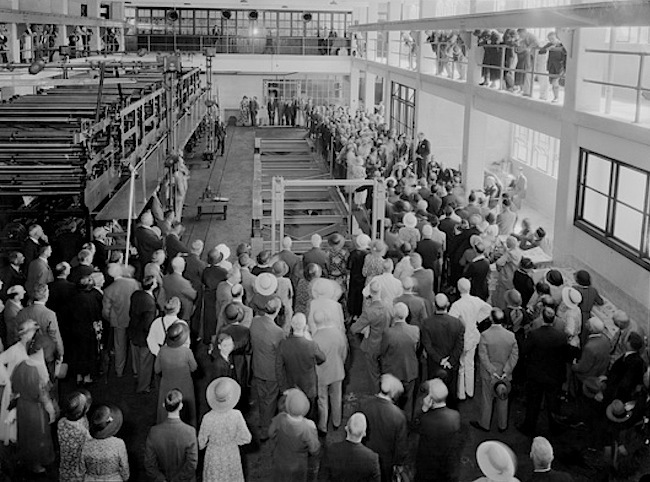 Newspaper House and its news printing halls and presses were constructed for the Centenary of the West Australian in 1932, which was during the Great Depression period. Perth Technical College was the first tertiary educational facility in the state and incorporated a School of Mines. It was established pre-World War One and at the end of the Gold Boom. 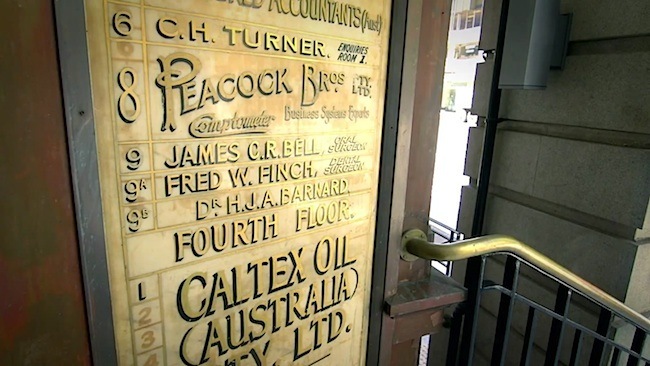 The Royal Insurance and WA Trustee Co buildings were pre Depression. According to the Heritage Council’s assessment, Newspaper House has a distinctive Art Deco influence. The four-storey WA Trustees Building has rendered masonry cladding, finely resolved sandstone and timber framed windows set off with classical pediments and a deep projecting cornice. The Edwardian-era red brick structure of the Perth Technical College is of Federation Gothic style set on a limestone base with sandstone window and door detailing. It features exceptional internal craftsmanship with jarrah timber panelling, art nouveau lead lighting and glass. The Royal Insurance Building has marble entry steps, Donnybrook sandstone facing, steel framed windows and doors, plus wrought iron balustrades. The City of Perth announced approval in 2008 for Brookfield Multiplex to develop a 46-storey tower block on the site for BHP Billiton. 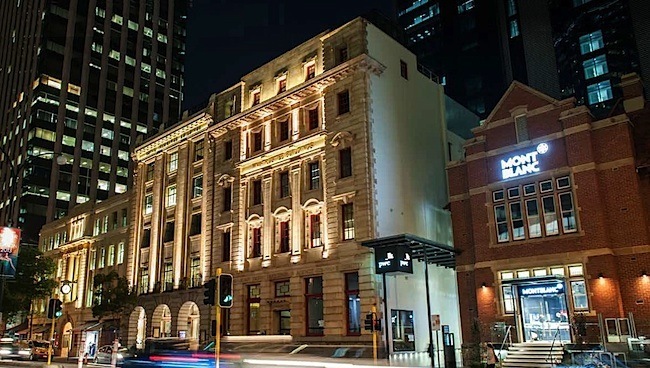 The approval included strict conditions on maintaining the heritage values of the buildings along St Georges Terrace. The development, was completed in 2012 and named Brookfield Place. 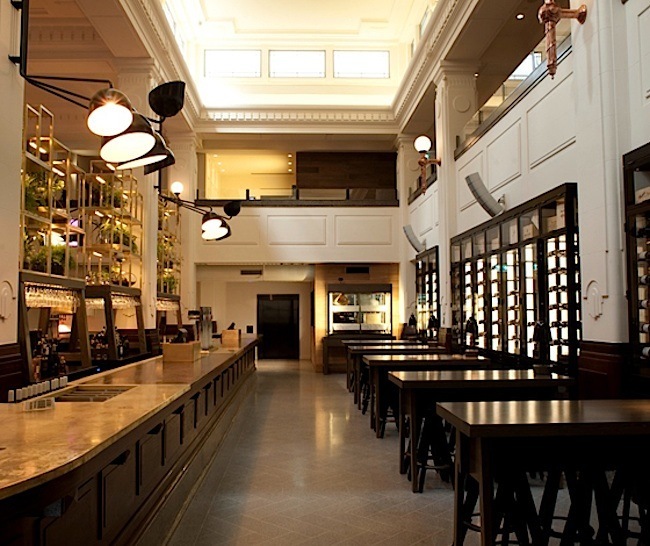 The heritage buildings were recycled to provide a range of bars, restaurants, shops and office tenancies. The former printing press building (the Print Hall) has been turned into a multi level dining and bar precinct. The venue boasts four levels of culinary and refined drinking options. Courtyards connect all the lower levels of the heritage buildings into a series of alfresco spaces, sheltered from the wind and sun. The podium level and ground floors of the heritage buildings are connected by a series of light-weight linking bridge elements. In total, Brookfield Place comprises a net let-able area of approximately 86,000 square metres including over 75,000 square metres in the office tower and a total of 7,126 square metres of food/beverage and retail space. Brookfield Place won the Margaret Pitt Morison Award for Heritage, the John Septimus Roe Award for Urban Design and the Ross Chisholm and Gil Nicol Award for Commercial Architecture.